Texas Roadhouse, a franchise in Ohio, has agreed to a $1.4 million dollar settlement of sexual harassment and retaliation claims brought by female servers. The restaurant owner and its management company are all part of the settlement. The U.S. Equal Employment Opportunity Commission brought the suit on half of the women after they claimed that the restaurant manager, Eric Price, created a sexually offensive working environment and engaged in quid pro quo harassment. Mr. Price was alleged to have offered particular employment benefits to female servers and hostesses to induce them to give into his sexual demands. Those workers who did not submit were threatened with retaliation. These women, including teenagers, were subjected to unwelcome touching and humiliating remarks about their bodies and sexuality. If these women complained, Mr. Price manipulated their work schedules and promotion chances. The harassment continued over a three year time period. Mr. Price was only terminated when he was caught on video touching a 17-year-old employee in his workplace office. In addition to the monetary settlement, Texas Roadhouse has multiple changes it must make. First, it may not re-hire Mr. Price in any capacity. Next, the twelve women must be offered their jobs back. With a five-year consent decree, the restaurant operator and the management company must track and report all gender discrimination and retaliation in all of their restaurants. Training must be provided to all employees with supervisory and HR employees to receive additional training on their duty to monitor and investigate. 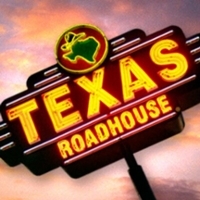 Texas Roadhouse settled shortly after losing its motion for summary judgment.